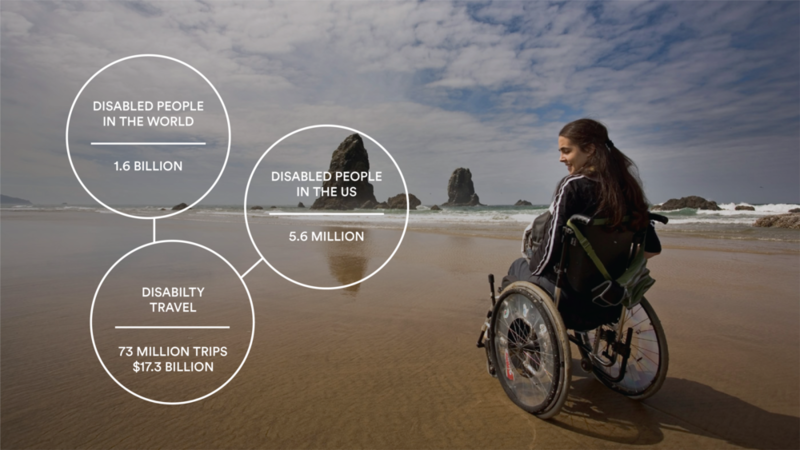 Only 252 homes out of 3 million on Airbnb in the US are listed as wheelchair accessible. to increase the number of disabled accessible homes. Its more than a filter. FOLLOW US AS WE SHOW YOU. Insensitivity is a very common phenomenon amongst the conversations with the disabled. We solve that using AI and sensitivity trained Bot - THE BOTLER. UNDERSTANDING THE ROLE AND INCENTIVES OF A HELPER HOST. Wheelchair accessibility is just the beginning. As AI evolves, we could detect almost every disability accessible homes.